Cayenne pepper appears to effect different cancers in different ways, and the nature of the effect depends on the stage of the cancer. Cayenne pepper contains capsaicin; traditional medicine employs this compound as an herbal remedy for the treatment of numerous chronic diseases, including cancer. At present, research into the role of cayenne pepper in cancer treatment delivers mixed results: Some research suggests that capsaicin promotes tumor growth while other studies show that capsaicin facilitates the death of cancer cells. 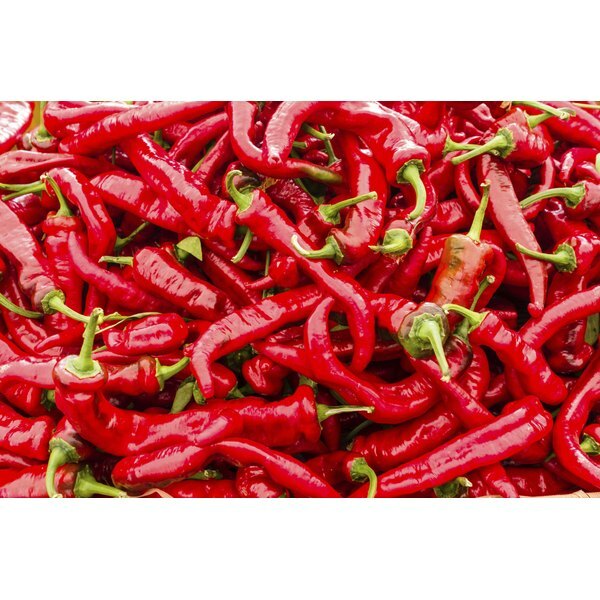 Capsaicin goes by a variety of common names, including capsicum, cayenne and conoids. According to the American Cancer Society, most human studies into capsaicin focus mainly on its effectiveness as an oral treatment for pain relief in cancer patients with side effects from chemotherapy and radiation therapy. While capsaicin shows promise in some laboratory and animal studies, results from human studies remain unavailable. Therefore, as of 2011 the American Cancer Society does not endorse capsaicin as a cancer treatment. According to the American Cancer Society, the capsaicin in cayenne pepper demonstrates the ability to arrest the growth of prostate cancer cells. However, while encouraging, research that supports cayenne pepper as a treatment for prostate cancer exists only in laboratory and animal studies as of 2011. Researchers are investigating the potential use of cayenne pepper to treat cancer. However, human studies are necessary to determine if the benefits of capsaicin extend to humans.